Thanks for stopping by and spending a bit of your day here. From free crochet patterns to web comics featuring the cast of Squirrel Picnic, there’s plenty to explore. So go ahead and have some fun. Hi! 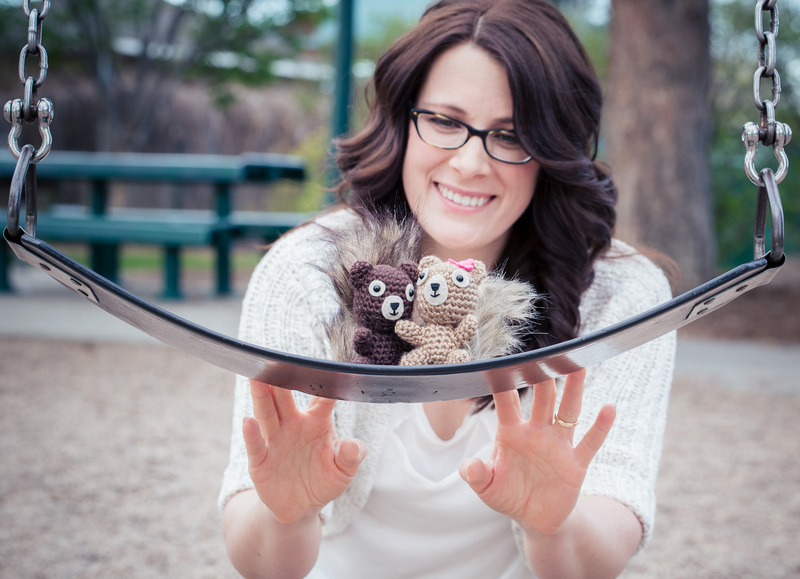 I’m Jennifer Olivarez, and I enjoy using crochet to explore soft sculpture, storytelling, and pattern design. In 2012, I began the Squirrel Picnic blog you see here, and for four years, I used amigurumi characters and crochet sets and props to illustrate a series of web comics about the adventures of two little squirrels named Hodge and Podge. I had such a blast coming up with new stories and sharing the patterns to make the characters that in 2016 I created a full-color story and crochet pattern book called The Big Acorn Race. To learn more about the book and follow my journey from concept through the process of self-publishing, head over to The Big Acorn Race blog. As much as I enjoyed coming up with new stories and patterns for Hodge and Podge and all their friends, eventually I felt the calling to take my passion for crochet beyond amigurumi. Since closing the blog in 2016, I’ve been designing crochet fashion and home décor patterns. 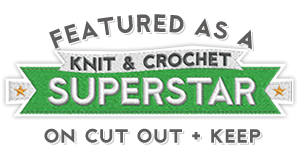 You can find my designs in Interweave Crochet, Crochet World, Crochet!, I Like Crochet, and international amigurumi magazines. Finally, I want to take a moment to thank everyone who followed this blog and generously offered their support and encouragement. It has been a great honor to meet you all and get to know you better. You have inspired me and challenged me to learn and grow, and I will forever be thankful for the experience. If you’d like to see what I’m up to now, you can find me on Instagram @jen_olivarez. Be sure to say hi! I’d love to hear from you. To see my latest designs, you can find me on Ravelry as Jennifer Olivarez. Although the patterns and tutorials on this site are free, they are still copyright protected. So before you share my pattern or sell something made from it, please read the following. * sell the finished products made from my patterns, but I ask that you credit Jennifer Olivarez for the design and include a link to the pattern — within the listing if selling it online or on a tag attached to the item if selling it in a shop or at a fair. * share the patterns and tutorials. Feel free to share one photo from the original post, but I ask that you credit Jennifer Olivarez and include a link back to the pattern or tutorial. * sell my patterns or tutorials. * claim any content found here as your own. All content is protected under a Creative Commons license. Click here for more information on this license.